When it comes to defining project results, the concepts of input, output, outcome and impact are often not clearly distinguished. Many European and international funding programmes mark a shift towards the use of indicators that aim to capture results and impact in a measurable manner. The Europe 2020 Strategy aims to put Europe back on the path to smart, sustainable and inclusive growth. In the context of tighter budgets and more public attention to the effectiveness of public funding , there is a need to demonstrate the performance, impact and added value of funding programmes. 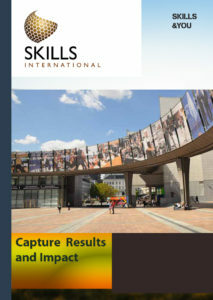 The aim of the Capture Results and Impact Training is to explain the concept of impact and provide proposal writers and project managers with guidelines on defining the impact that is based on a clear and sound dissemination and exploitation planning.